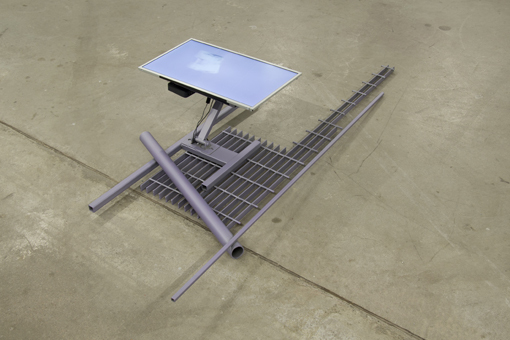 The Bemis Center for Contemporary Arts is proud to present an exhibition of newly commissioned and recent works by San Francisco-based video artist/sculptor Nate Boyce. The sculptures and video works in this exhibition represent Boyce’s first major solo institutional exhibition in the United States. 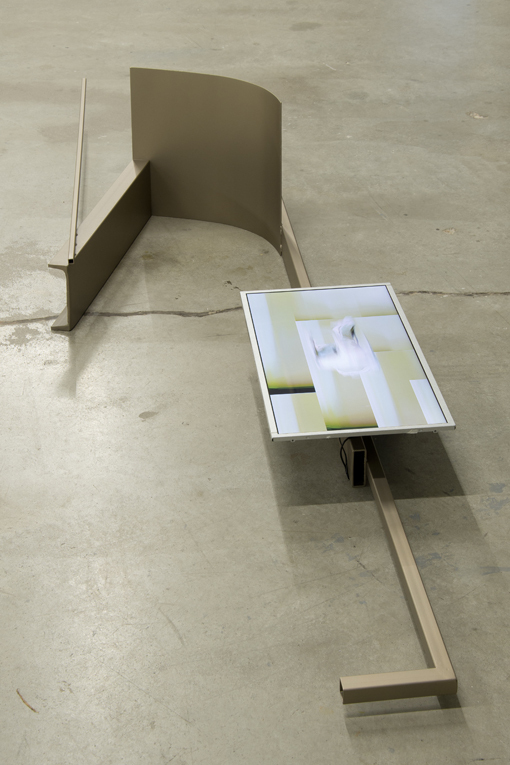 In his newest works, Boyce develops a dynamic feedback loop that intertwines animated video with pedestal-like sculptures, specific art historical references and our spatial perception of the gallery space. 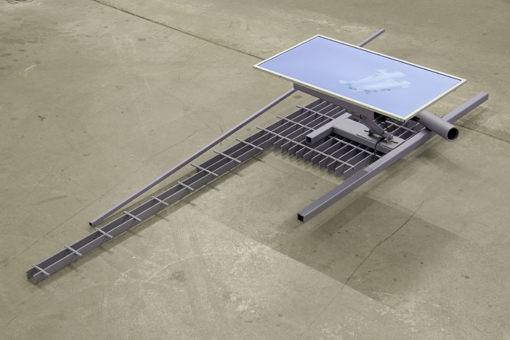 Simultaneously utilizing contemporary and obsolete software, and techniques that range from industrial production to the handmade, the works hover between digital and physical realms. 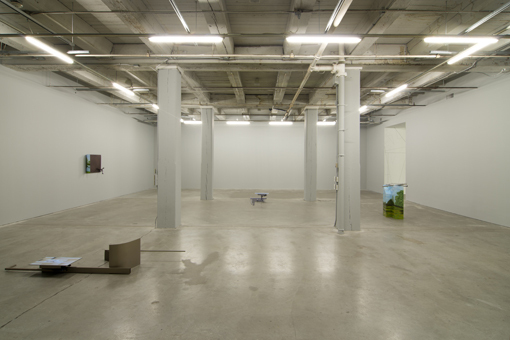 His inexplicable sculptures access an uncanny space, in which the video image, the objects represented through video, sculptural supports and the gallery’s architecture dissolve into a uniform terrain. 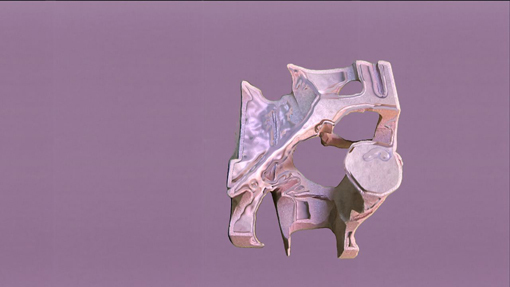 Boyce’s process begins with carving abstract objects from foam, coating the foam in plaster and then airbrushing the objects in metallic, iridescent or pearlescent colors. 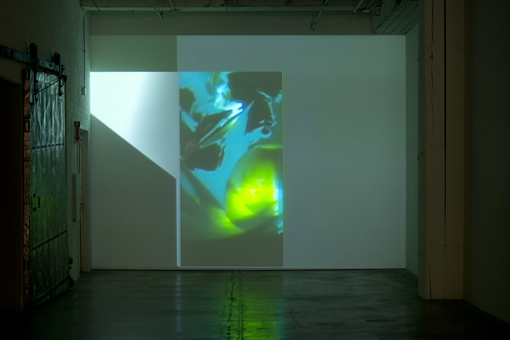 Boyce films the objects in rotation and processes this footage through analog and 3D modeling software, arriving at looped sequences that layer multiple forms of mediation. Resistant to easy historical classification, these richly textured images of objects evoke the cast bronzes of Moore and Boccioni, physically destabilized and threatening to return to a molten state. 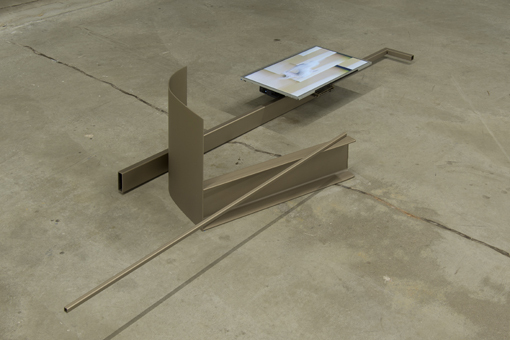 The videos are presented on industrial LCD screens, mounted to welded-steel and powder-coated or airbrushed structures that parody the notion of a pedestal while simultaneously verging on becoming sculptures in themselves. In Boyce’s newest works, commissioned by and fabricated at the Bemis Center, Boyce extends his formal investigations to address conventions of display associated with public sculpture. 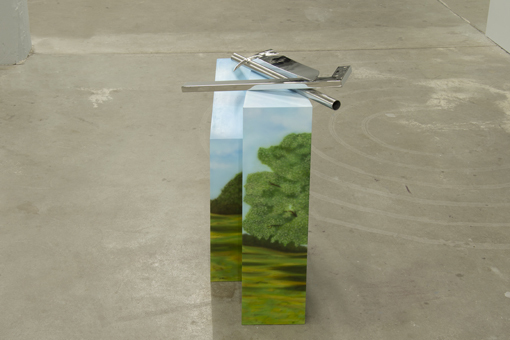 Through commissioning a local artist to airbrush generic scenes of parks and public spaces onto a pedestal or the peeled up back side of a wall relief, Boyce makes the pedestal a site, or literalizes a background scene, which an object is bluntly forced into. Playing off of the cultural associations of airbrushing as well as its status as a pre- Photoshop image manipulation technique, the mundane park provides the underpinning to his visceral objects, cosmetics- color palette and seemingly offhanded sculptural forms. In this exhibition, Boyce approaches dimensionality, representation, and temporality as malleable forms of the same toolkit. The works create platforms rich with associative potential, including both Boyce’s specific references and open source possibilities. 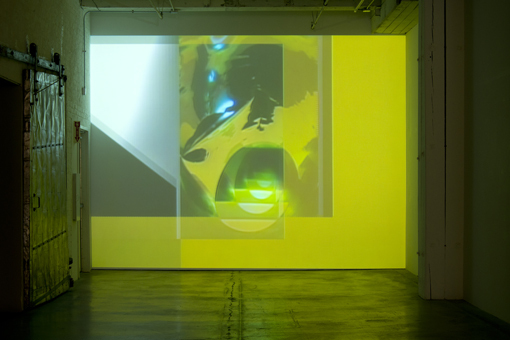 Highly interested in the divide between the abstraction present in early video and Structuralist film, and the concerns of modernist painting and sculpture, Boyce’s works achieve a middle-ground, yet resist revisionism to propose a forward path where divided histories, physical and rendered forms share the same gravity. 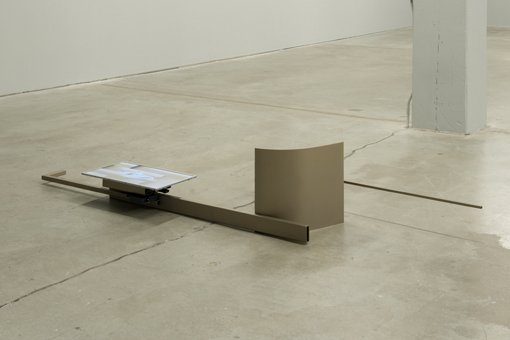 Nate Boyce: Plinth Inhibitor is curated by Hesse McGraw, chief curator of the Bemis Center. Nate Boyce lives and works in San Francisco. 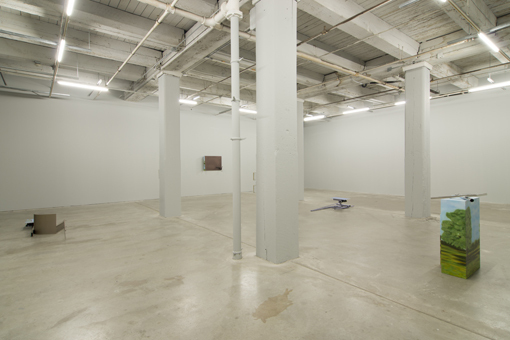 He was featured in the California Biennial, 2010, and a recent solo show at IMO, Copenhagen. 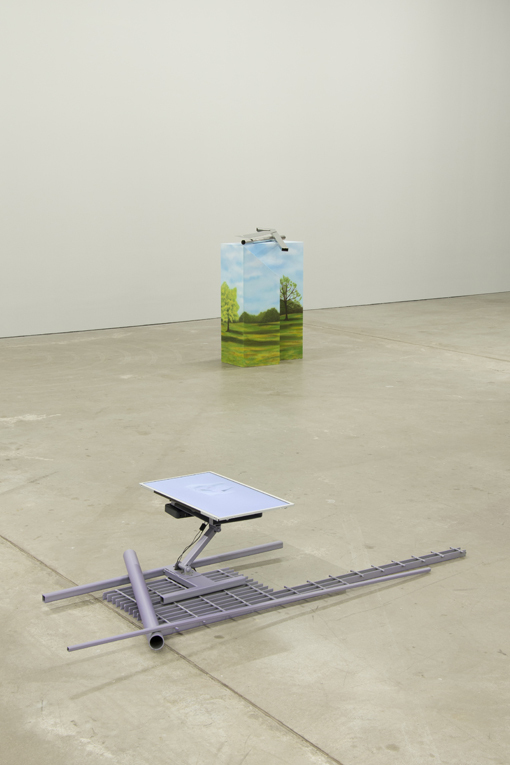 He has participated in group shows at Vilma Gold, London; Jack Hanley, San Francisco; Christopher Grimes Gallery, Los Angeles; Landings Project Space, Oslo; Deitch Projects, New York; Ullens Center For Contemporary Art, Beijing; Galerie Neue Alte Bruecke, Frankfurt; Center for Contemporary Art, Glasgow; CCA Wattis Institute, San Francisco; and the San Jose Institute of Contemporary Art, San Jose. 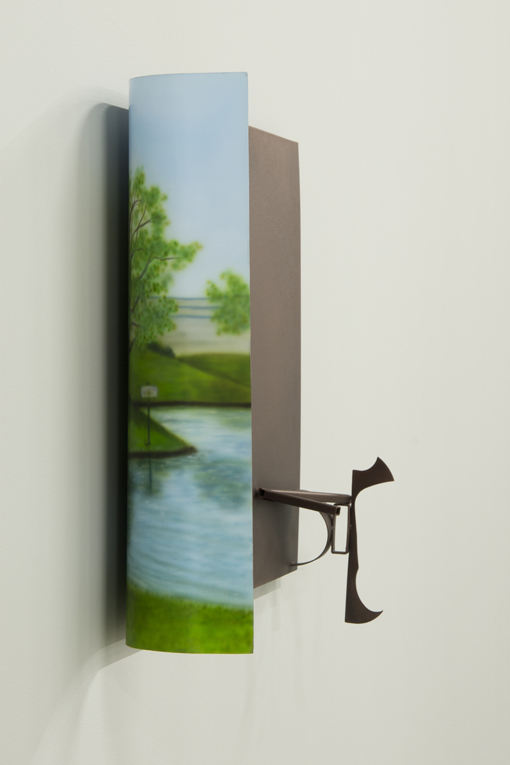 Boyce participated in the 2010 exhibition Borderland Abstraction at the Bemis Center. Nate Boyce is also actively involved in the experimental music scene, collaborating and touring with musical acts including Matmos and Oneohtrix Point Never with whom he has performed at venues such as the Museum of Modern Art, NY; San Francisco Museum of Modern Art; Centre Pompidou, Paris; Royal Festival Hall, London; The Barbican, London; and The Mattress Factory, Pittsburgh, among others. 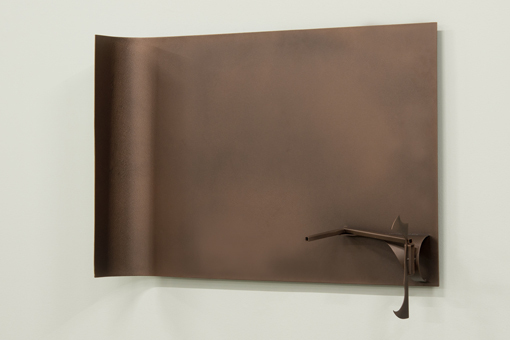 Boyce is represented by Altman Siegel Gallery, San Francisco. All photos by Larry Gawel. All works courtesy of the artist and Altman Siegel Gallery, San Francisco.